At 7 a.m. on a weekday, many college students are still asleep. Others hit the snooze button and struggle to get out of bed for an 8 a.m. class. But not Matt Horst. He is usually already at work in the Applied Microwave Nondestructive Testing Laboratory (AMNTL) at Missouri S&T. 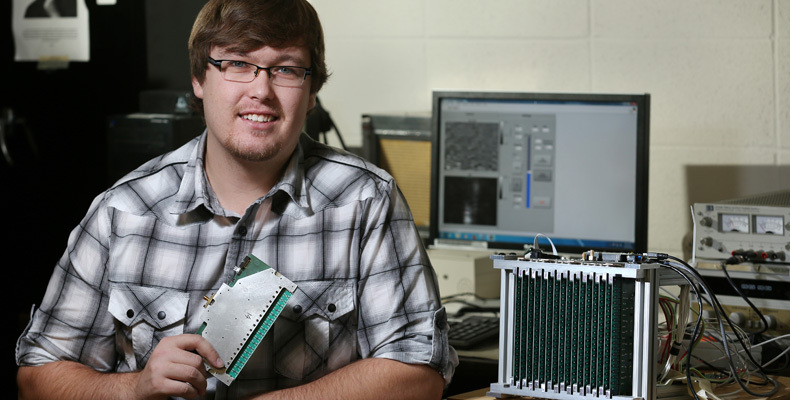 Horst, a graduate student pursuing a master’s degree in electrical and computer engineering at S&T, spends most of his time working in the lab running simulations, fabricating circuit boards or reading literature related to his research.